Going out of town, but need to cancel your Delaware entity on the last day of the year? No problem! 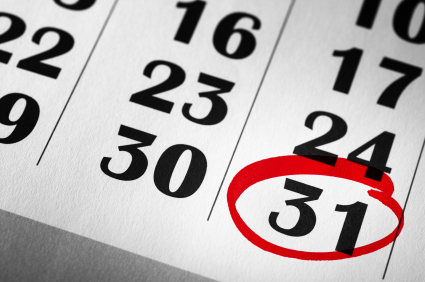 You can file your document now and include a future effective date of December 31st. This will enable you to enjoy your vacation without worrying about making the filing on time. Effective dates and times can be used for any type of business entity filing. It is important to keep in mind that the date of submission will be the filing date, although the filing is not “in force” until the effective date. Effective dates can’t be more than 90 days into the future. Effective dates can be made for any day of the year, even Saturdays and Sundays. Effective times can also be included, but are not required. The time must be specified as Eastern Standard Time or Delaware will not index the time given. The most common uses of effective dates and times are for the end of the year or the beginning of a new year. Keep in mind that effective dates can be used for any date of the year, not just the end of the year. This use of effective dates and times is commonly used for dissolutions, cancellations and mergers, but can be used for any type of business entity filing. When forming a new Delaware business entity by filing at the end of the calendar year and specifying an effective date early in the new year, the entity will not incur taxes for the current year. The entity also gains the advantage of not having to report to the IRS for the current calendar year. The future effective date also means that the business does not have to elect directors/officers or draft bylaws or operating agreements until the effective date. This allows the business time to attend to these details. Filers, however, need to keep in mind that when a future effective date is set for January 1st or further into the new year, the entity becomes responsible for that year’s taxes, which are paid in the following year. If it is a corporation, the business would also be responsible for the annual report for that year. Knowing the basics of effective dates and times in Delaware can be extremely useful. Effective dates and times provide flexibility, as well as tax advantages, with the most common times to utilize them being the end of the calendar year for terminating entities or the new year for formations. You are now capable of handling your corporate affairs before that big vacation with no worries!